Angela Morris Optometrist are an award winning locally owned independent optometrist. The latest technology is used to assess vision and eye health. Their optical prescriptions and aid with contact lenses is provided by highly qualified optometrists. Also part of their service is assisting in the management of eye ailments and ocular deseases. Our goal with this website was to provide a new website with modern styling. A lot of the material from the previous website was still current and relevant so this was to be included. However, as part of the process all text was audited and updated where necessary. Customers have the ability to request appointments, order contact lenses and submit enquiries using online forms provided. Key services provided are highlighted along with directions, opening hour and contact information. A number of interactive features have been included to promote brands available in eyewear. 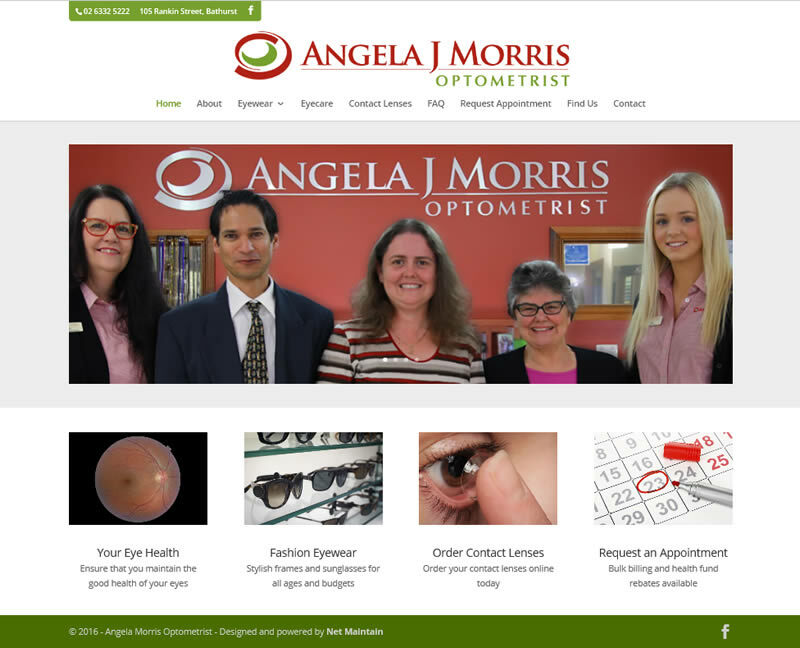 You can visit the Angela Morris Optometrist website here. Update existing website with new layout and design reflecting current trends.